I was inspired with a card made by Kimberly Jackson-Brown. My interpretation was done with Tim Holtz Marmalade Ink, Greeting is Penny Black stamp To You, shapes cut with Spellbinders. 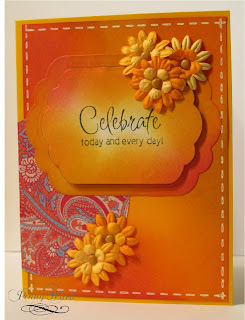 Beautiful sunny colors and a lovely take on Kimberly's card! Thanks so much for playing with us at Lily Pad Cards! Love color combo in this card. Such a pretty card. Thank you for playing with us at lily pad cards. What gorgeous colors! This is really a wonderful card design, perfectly finished with the flowers. 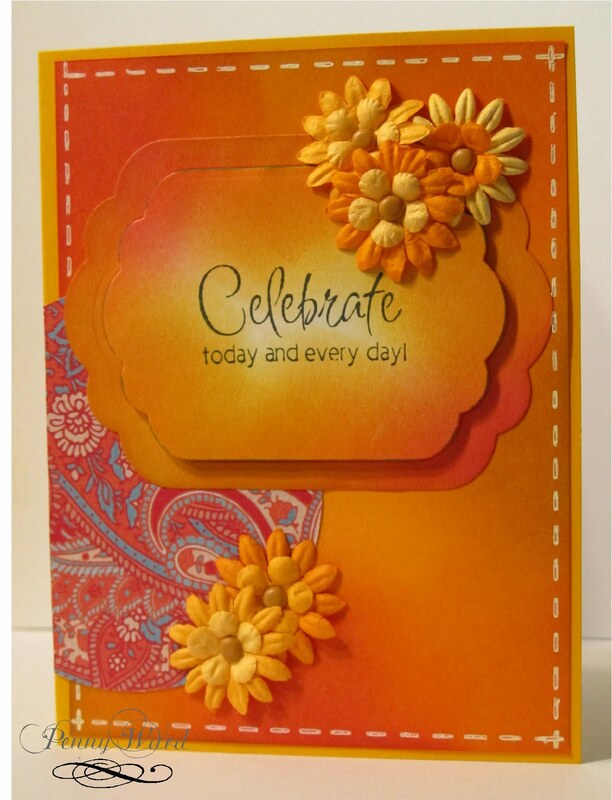 So glad you joined us at Lily Pad Cards for this challenge!